Apples are all the rage where we live. Our town in famous for the yearly Apple Festival. There is no shortage of apple orchards throughout the county. My daughter who has been going through chemo this summer at St. Jude has been planning her birthday, which is on Monday. We are still waiting for the all clear to leave St. Jude and go home… we are hoping to make it home for her birthday. Some of her plans include apple picking and eating apple cider doughnuts…. if you haven’t… you should… seriously! 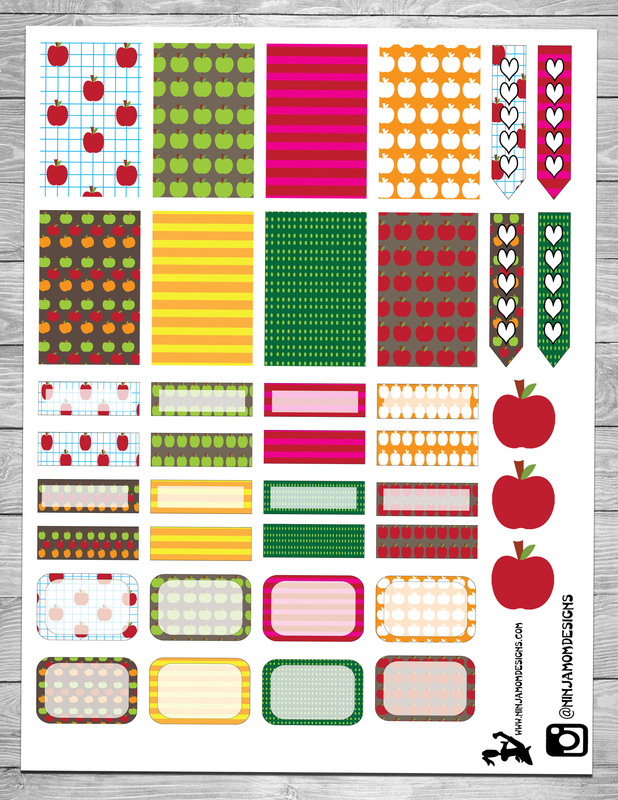 In honor of my little warrior princess, I’m offering this FREE Apple themed printable. 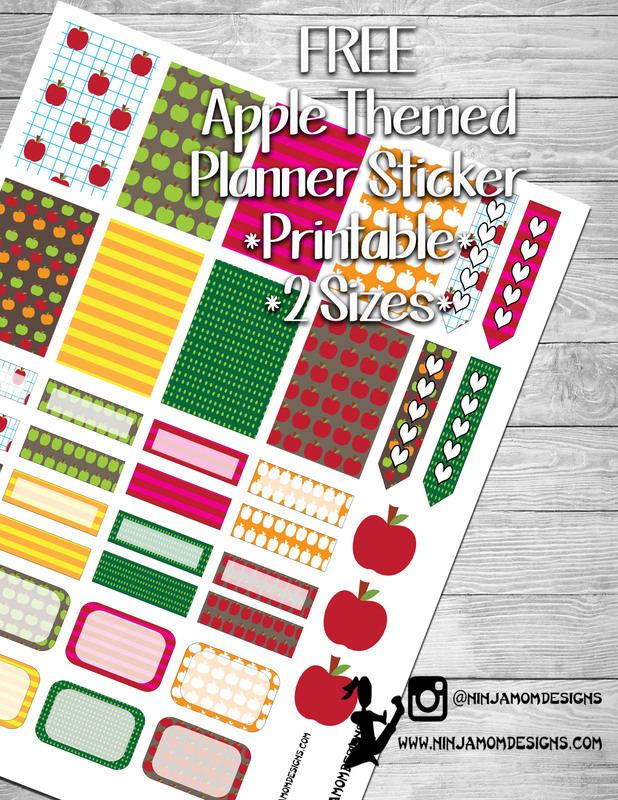 If you want a more complete printable with washi strips, check out THIS LISTING on Ninja Mom Designs. And now for today’s FREEBIE. Be sure to click on the link BELOW the image for your printable! Thank you so much. Hope your daughter is improving daily. My family usually goes apple picking each year at sky top Apple Orchard in Flat Rock NC. Will definitely put these in my planner for during that week. Sky Top??? That’s the first orchard we go to every year. We just love it!